Have you already booked your flights and hotels in Ahmedabad ? Preparing for a trip sometime soon? Keen on bypassing regular landmarks for satiating your cultural cravings? Ahmadabad is just the place for you! There are several locations that you should certainly visit if cultural tourism is your cup of tea, something that you deeply desire. And why not? 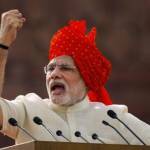 Ahmadabad is a confluence of architecture, beliefs and creative development of the highest order. This one makes for a refreshing addition to any itinerary. The Calico Museum of Textiles is the biggest such textile museum in India, having been founded back in 1949. Situated at Shahibaug, this is where you will enjoy viewing machine-crafted and hand-woven garments that are more than 500 years old along with the antiques and handicrafts which tell stories of the evolution of textiles in India. The museum is a must-visit for cultural aficionados! L.D. 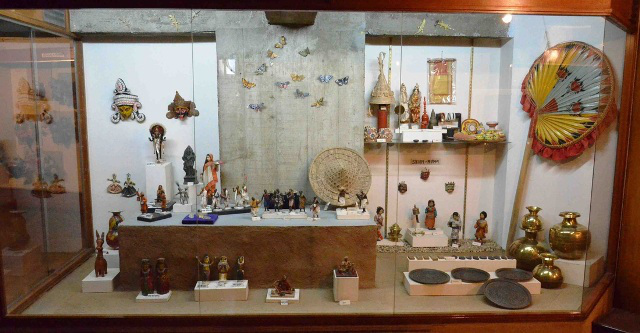 Museum or the Lalbhai Dalpatbhai Museum, is renowned throughout the country for its collection of artefacts which disseminate the culture and art of our country. This museum is located opposite to the Gujarat University and offers a fascinating glimpse into famous writings on several religions, book prints and more! There is an amazing collection of books that cover Jainism here. There are several bronzes, sculptures, drawings, paintings, terracotta items, miniature paintings, cloth paintings, wood items and painted scrolls for you to explore. Rabindranath Tagore’s paintings and artwork from Tibet and Nepal are also showcased here along with a wonderful collection of ancient coins. One of Ahmedabad’s biggest architectural landmarks, this will delight people who are interested in design. The mosque is located at Manek Chowk on Gandhi Road and was built in 1423 by Sultan Ahmed Shah. This is crafted from yellow sandstone and is a harmonious confluence of Islamic and Hindu craftsmanship and architecture. The serene and welcoming ambience is another plus point! 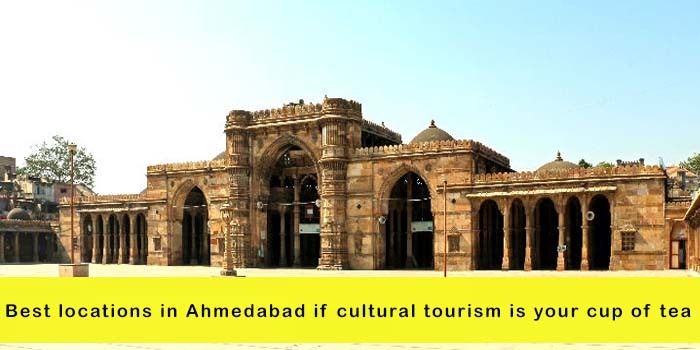 One of Ahmedabad’s biggest attractions is also reflective of the city’s association with fine architecture. The Three Gates are the royal entrance built by Sultan Ahmed Shah towards the city. There is a fountain at the centre and the design will leave you spellbound to say the least. When it comes to culture and philosophy, what could be better than the Sabarmati Ashram or Gandhi Ashram? Founded by the Father of the Nation, Mahatma Gandhi in the year 1917, the Ashram is where you will get fascinating insights into his philosophies, beliefs and principles of universal tolerance. Those who have deep-rooted love affairs with art should certainly hop over to the Lemongrasshopper Art Gallery. This is one of the best galleries in the city. View works from masters like MF Hussain, Abhijit Paul, Sunil Darji, BV Suresh, Shampa Ghosh and many others. Experience a mellifluous coexistence of the past and present in terms of artistic expression at this gallery. 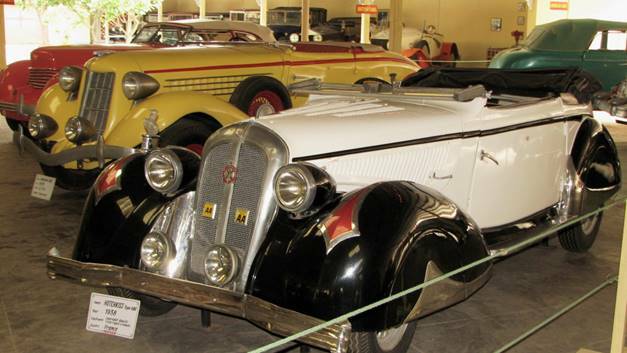 Auto World or the World Vintage Car Museum showcases the fabulous private collection of Pranlal Bhogilal, one of the country’s biggest automobile lovers. Step into another world while admiring some of the most awe-inspiring convertibles, limousines, boat-tailed speedsters, horse-drawn carriages and sportscars on offer. With more than 100 brands on offer, you’ll be drawn to some of the top offerings including cars from Maybach, Bentley, Cadillac, Chrysler and Mercedes. The biggest attraction is that you can even take out your chosen vintage cars for a short drive! There is a souvenir shop where you can indulge in some mementoes and of course, a cafeteria that offers delicious grub. Those who wish to delve deeper into the regional culture and artwork of Gujarat should visit the Shreyas Folk Art Museum. This showcases artwork from many communities of the State including the Ahir, Kathi, Rabari, Mer and Meghaval communities among others. You will enjoy the wood carving, embroidery, leather and metal products, hand-crafted musical instruments, painting, cloth art and other attractions on offer here. Prepare to be bowled over by the wonderful collection of traditional pieces from across the world. There is a Performing Arts Museum inside the museum complex where you will have a ball viewing vintage coins, puppets, folk music collections from across the globe and other traditional costumes used for plays. To put it succinctly, this one’s a sheer treat for the culture enthusiast! 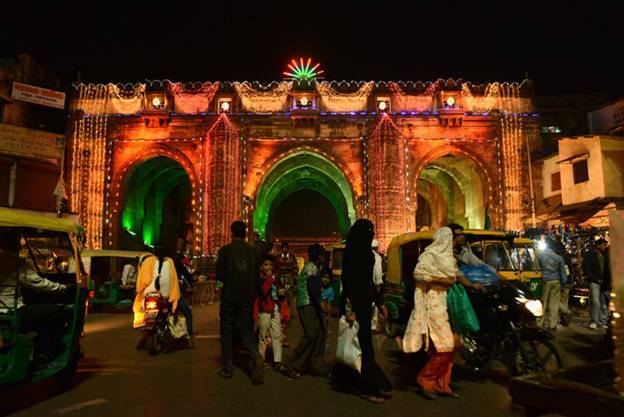 Ahmedabad offers several attractions to whet your cultural appetite. In fact, the city is known for its splendid architecture, rich cultural and artistic traditions and its warm hospitality. If you’re visiting Ahmadabad soon and wish to explore some of the city’s biggest cultural attractions, you now know where to head! Previous article Is your child wetting the bed? 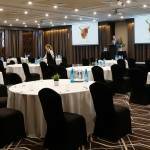 5 tips to consider!